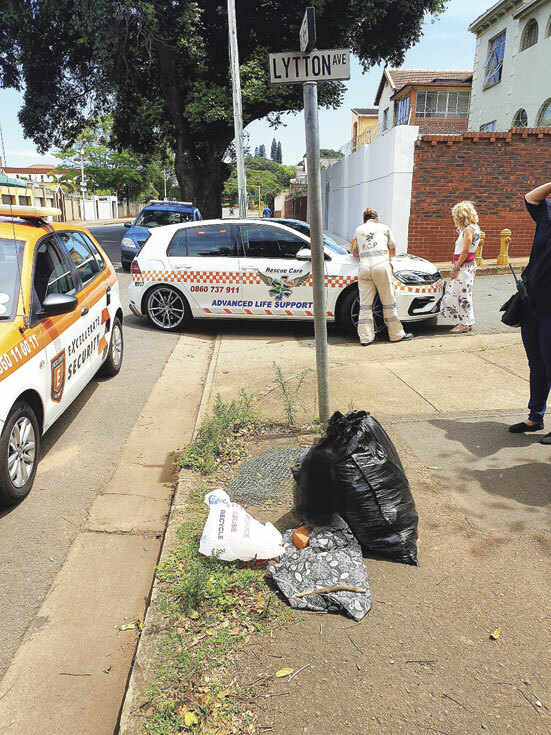 It was a grisly sight for a motorist when he discovered a newborn baby boy dumped in a rubbish bag on a pavement in Glenwood on Tuesday. Rescue Care Paramedics were called to the scene by concerned residents at about 12:45pm after seeing the baby in the packet. “Rescue Care Advanced Life Support paramedics arrived on the scene to find the little baby boy had unfortunately already succumbed to his injuries. The body was then handed over to the SAPS who will be investigating further. “Paramedic Ceron Meadows was the paramedic who declared the little boy deceased and expressed her concern in the rise in babies being dumped in Durban.Meadows urges all mothers to seek help and assistance if need be. Rescue Care paramedics have responded to multiple calls of this nature recently,” said Rescue Care operations director, Garrith Jamieson. A Blue Security officer also responded to the grisly scene and Blue community and media liaison officer, Andreas Mathios said one of the company’s clients was alerted to the incident and contacted the company to investigate at the scene in Bulwer Road at around 12.20pm. “Our officer arrived at the scene and found the foetus lying in a black rubbish bag on the pavement. Despite rumours that the foetus was still alive, paramedics who attended the scene declared the baby dead,” Mathios said. Mathios said the foetus had allegedly been aborted and dumped at the scene. Police spokesperson, Col Thembeka Mbele, confirmed the incident and said an inquest docket is being investigated at Umbilo SAPS.